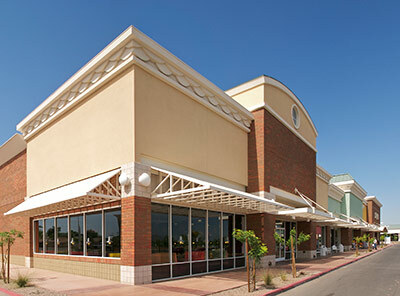 With more than 50 years of experience installing commercial glass such as retail storefronts and entrances, National Glass is Tucson’s preferred source for all your commercial glass needs. Our commercial glass services are highly valued by business owners, contractors, property managers and service companies throughout Pima County and beyond. Our commercial glass teams have a knack for solving any issue, big or small. We’re experts in glass door and window repair and replacement. We do everything from ADA upgrades in small buildings to repairing storefront doors, as well as new construction glasswork in ground-up restaurants and retail store construction projects. If a business has suffered an attempted break-in, vandalism or an unfortunate “drive through,” we provide fast emergency board-up service through our 24-hour mobile crews. Choose National Glass for your next project. We have the experience, resources and vision to complete the job quickly, economically, and with the highest standards of workmanship. We also perform the work with the least amount of inconvenience for you and your customers. Since our beginning in 1960, National Glass is Tucson’s best commercial glazing source for contractors and business owners throughout the region. Customers rely on our commitment and workmanship, as well as our competitive bids, on-time completion, and top-quality materials.